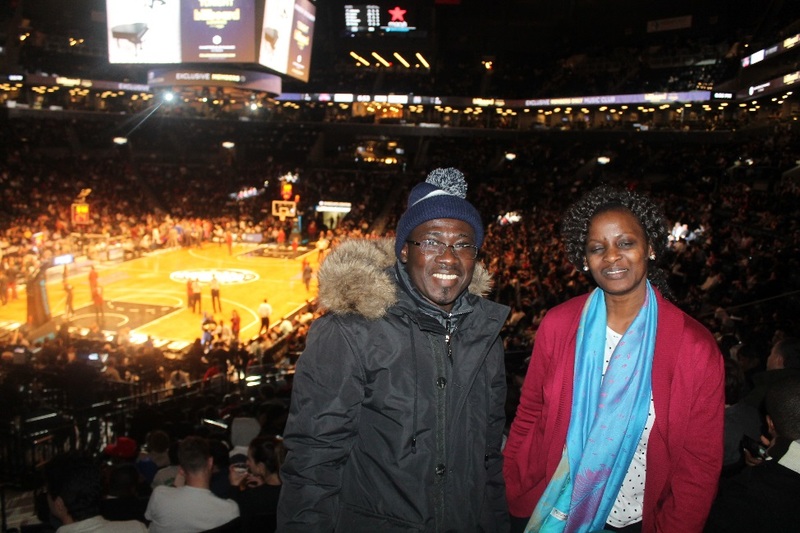 On February 1, 2016, Fulbright Scholars and their families were hosted by One To World in downtown Brooklyn for an evening of fun and basketball at the Barclay’s Center. 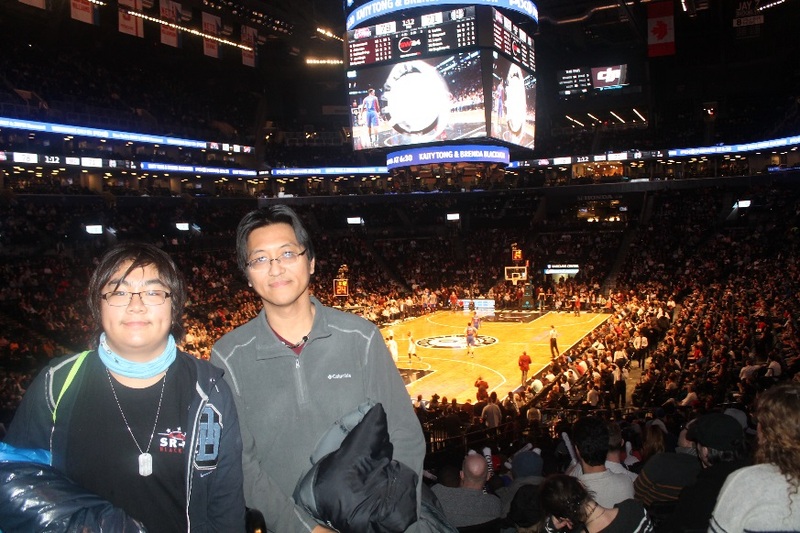 Scholars enjoyed a riveting basketball game between the Brooklyn Nets and the Detroit Pistons. The purpose of meeting at a popular sporting and entertainment center was to give Scholars and their families the full experience of the American sports culture. [Right to left] Taiwanese Scholar Hanhsing Lee, and his son. Scholars from countries like Brazil, Belgium, Canada, Czech Republic, France, Israel, Netherlands, Nigeria, Norway, Poland, Senegal, Slovakia, South Africa, Taiwan, Ukraine, and the United Kingdom were able to enjoy this event together. 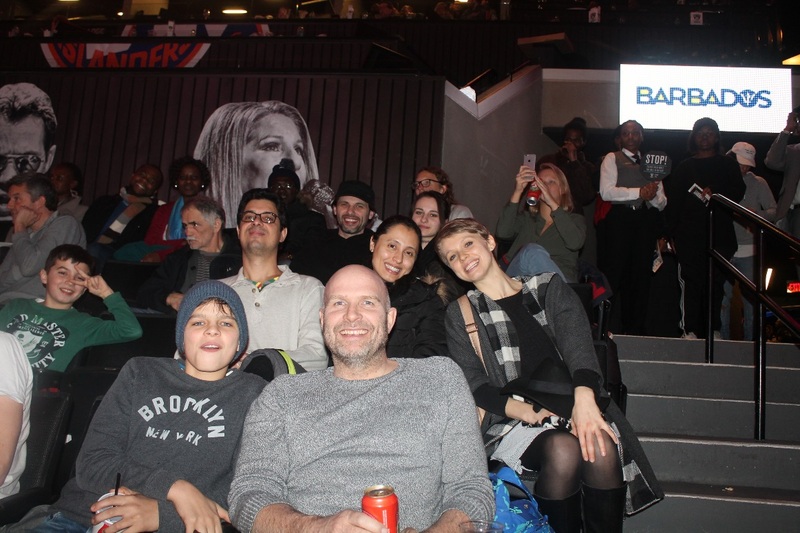 During the game, Scholars learned about America’s passionate love for basketball, foreign players in the National Basketball Association (NBA) league, and the Barclays Center’s role in the community. Scholars and their families easily assimilated into the culture of American sportsmanship! They high-fived everyone in their section, stood up as the national anthem of the United States was harmoniously projected from the speakers, cheered passionately when the Nets scored and booed just as passionately when the rivalry team scored, danced in and out of their seats to the music and bought hot dogs and other tasty items from food vendors. Fulbright scholars and their families enjoying the game. Despite the surprising loss (the scores were so close!) by the Brooklyn Nets, it was an unquestionably great experience. In the words of Katherine Gash, a Fulbright Scholar from the United Kingdom at Columbia, “It was fantastic! Great atmosphere and hot dogs! It was great to meet other Fulbrighters. The game was fast and very fast moving and I really enjoyed all the music/atmosphere. The national anthem pre match was lovely to hear. I loved it. It was a real American experience!” This was the universal sentiment expressed by all who attended the event. In the end, Scholars and their families left with full stomachs, joyful hearts, a renewed feeling of community, and a better understanding of America’s culture beyond the four walls of their offices and homes. 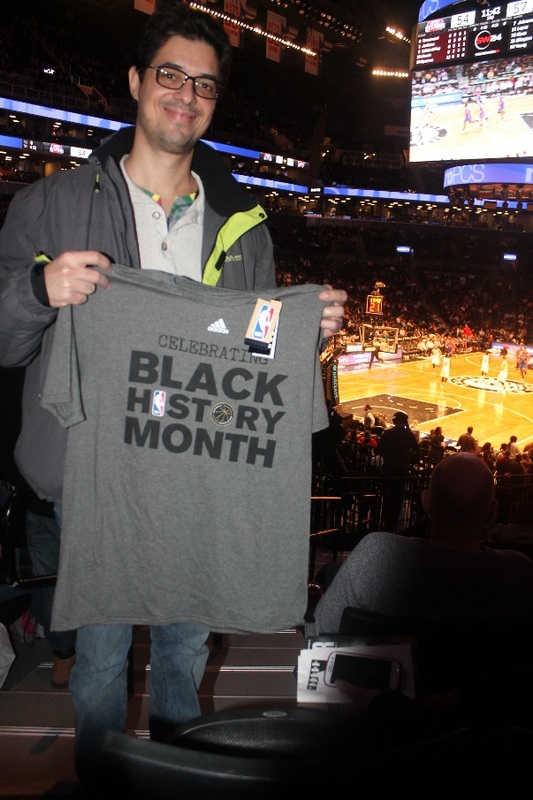 Brazillian scholar, Amilcar Pereira displaying his newly acquired Black History Month Brooklyn Nets shirt.